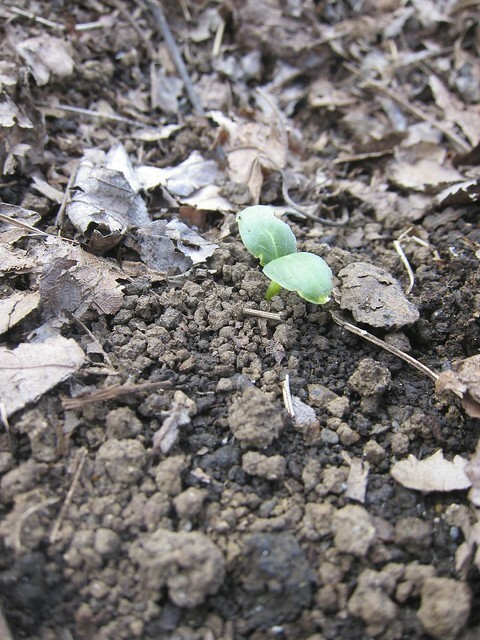 With Solstice’s long, sunny days as encouragement, newly planted seeds worked overtime to emerge. We’re always glad to see signs in the garden that seeds have germinated, and on this particular day it seemed they got bigger every time we looked. To prove that we weren’t merely imagining things, we captured their first appearance, and six hours later that same day. 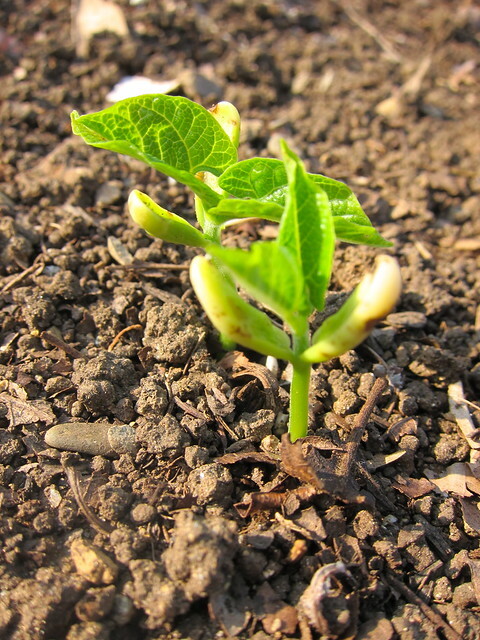 Above: A double planting of Masai filet beans, looking a little scarred and battle weary at having pushed their way through. Ta-dah! 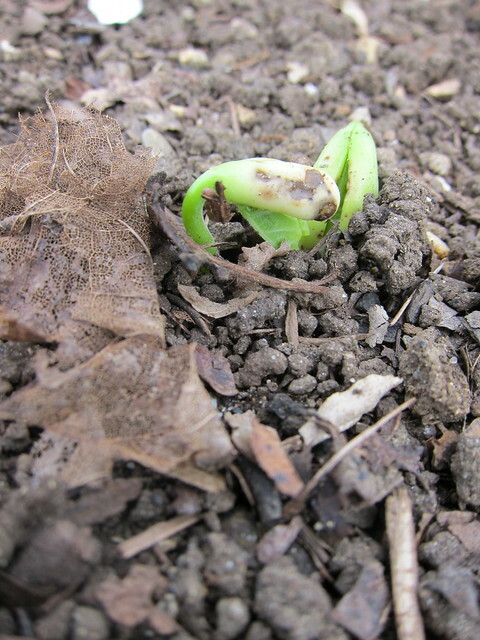 Six hours later, the beans (above) have straightened out and unfurled their first set of leaves, with a second one ready to go. 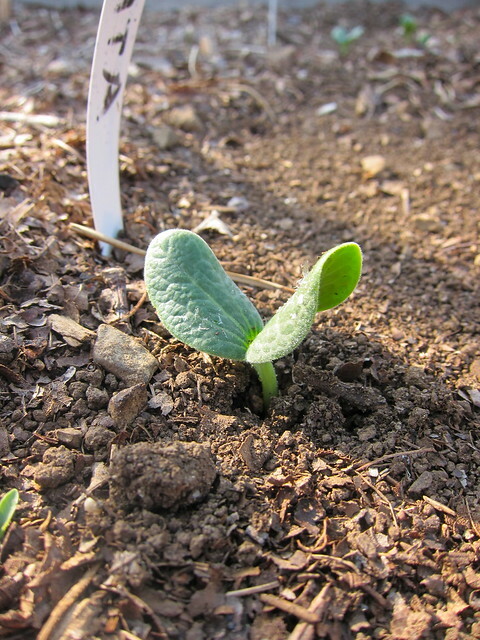 The Boothby Blonde cucumbers (above) have been reluctant to germinate this year, and this was just one of two that made it, looking a little tentative. It’s like watching chicks peck out of their shells, the relief at accomplishing this seemingly small task is palpable. In comparison, the Costata Romanesco zucchini (above) just shoulders through. 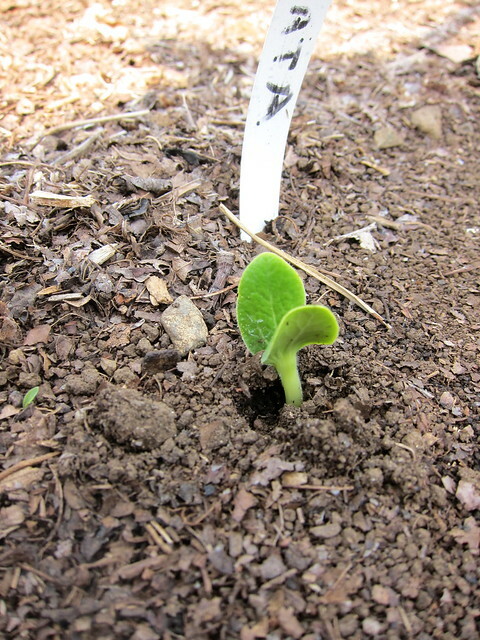 Seedling sun salutation — looking hopeful and robust, and portending zucchinis in our future. Solstice also marks the last harvest of asparagus and, this year, the first harvest of peas. Our planting of Coral is an early variety, but is dying off quickly after bearing. Planting: Tomatoes, leeks, celeriac, and a reseeding of Delicata winter squash. Harvesting: First of the peas; last of asparagus; also rhubarb, salad greens, arugula, kale, agretti thinnings, and chive blossoms. 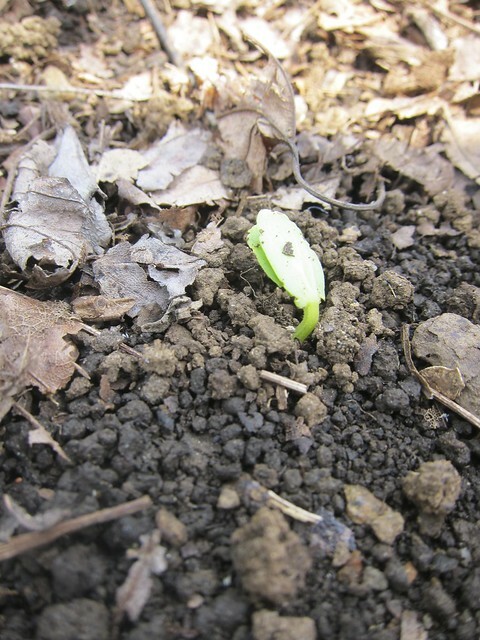 This entry was posted in garden and tagged beans, cucumbers, peas, seedlings, summer squash, zucchini. Bookmark the permalink. Those photos are fascinating – I never would have thought that a few hours would make such a difference! 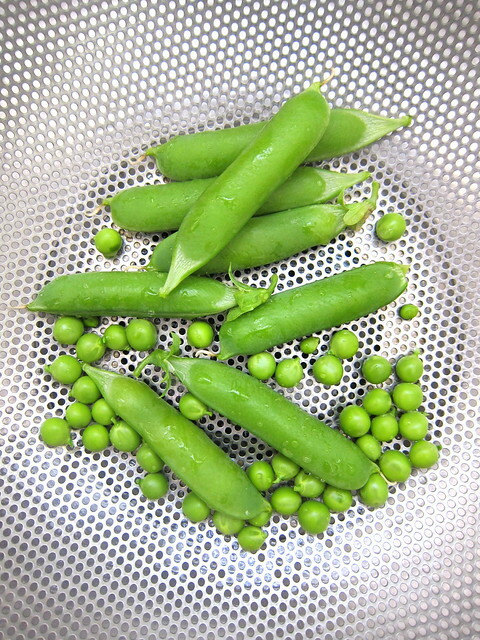 Those peas look so perfect.